Welcome to Moshi Monsters Expressway (MME) We are a public Moshi Monsters blog that aim to provide Moshi fans with latest Moshi monsters information! We’ve got it all here! We have Moshi Monsters guides, tutorials, secrets, tips, tricks, cheats, codes, new updates and more! Once we know it we’ll show it! Serving monsters since August 7 2010. Moshi Monsters Expressway is run mainly by 2009Fire15 , who created and owns MME. Rosscp and Lukey140701 are administrators, along with other workers helping out such as Lmummery, Moshlinginfo, Mrwallop and Goldenchildngo! Here’s an image of 2009fire15’s monster ‘Howie’, and his room! Click here to visit 2009Fire15’s room! Click here to visit Rosscp’s room! Click here to visit Lukey140701’s room! This entry was posted in Moshi Monsters and tagged Apple, Art, Articles, Canada, Events, games, Holiday, Moshi Monsters, Moshi Monsters Expressway, Music, News, Photography, Top Stories, Travel, USA by 2009Fire15. Bookmark the permalink. Hey do you guys have twitter? I love MME! When I went on here, the counter said 2,200,200 views! That’s a lot! Are there going to be any membership competitions soon because I really want a membership? Well done!!! 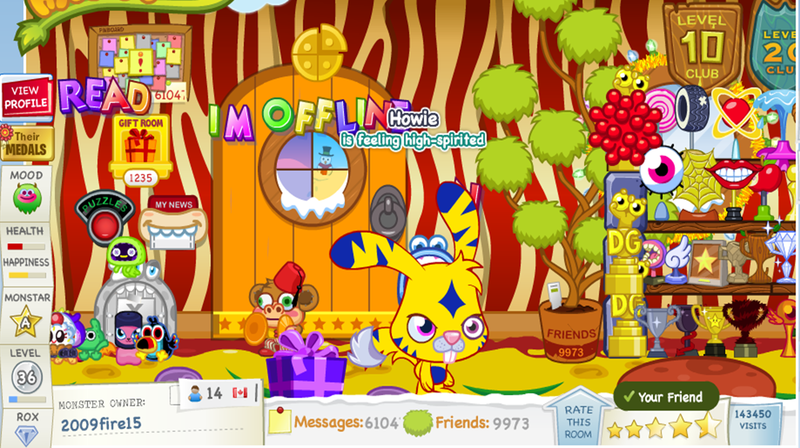 You have won blog of the month on The Moshi Monsters Place. mme is the best sight ever. You are the best too!